The COR™ filter comprises two filter segments surrounding an empty cavity enabling the design of a ventilated cigarette with a significant reduction of carbon monoxide while retaining a similar taste. Consists of a tobacco and mouth segment of high-quality crimped acetate surrounding a hollow central cavity. The mouth segment is constructed with a higher draw resistance than the tobacco segment. Both segments are enclosed in a plugwrap, which can be standard or porous. Alternatively, the mouth segment can use non-wrapped acetate for quality. 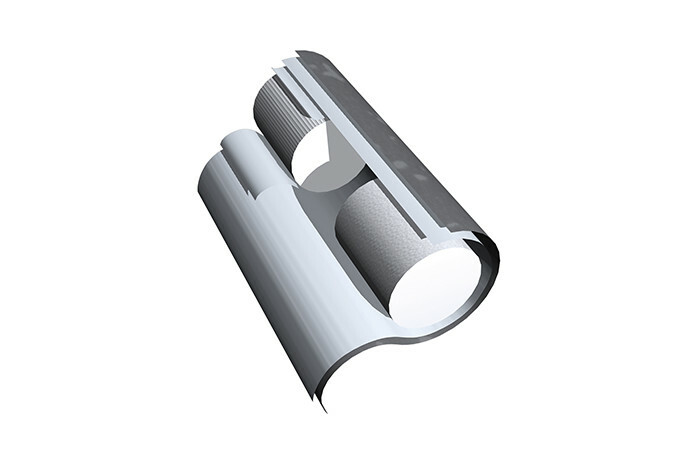 The central cavity is created as the filter segments are wrapped in an outer plugwrap, which can also be standard or porous depending on ventilation requirements. The filter is intended for ventilated products, which traditionally tend to reduce tar and nicotine more than they reduce carbon monoxide and other vapour phase gases. The COR™ filter is specifically designed to deliver a desired performance and produces lower tar retention at an acceptable draw resistance. It also enables higher levels of ventilation to achieve the tar yield but with less carbon monoxide. A range of configurations, lengths, and circumferences are available to enable tightly controlled cigarette solutions.